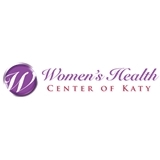 Women's Health Center of Katy (Houston) - Book Appointment Online! Welcome to The Women’s Health Center of Katy! Doctors Lee and Bailey are physicians specializing in Obstetrics and Gynecology. We are proud to provide outstanding, compassionate care with the most current and up-to-date treatments for women of all ages. http://www.drelizabethbailey.com/ Our goal is to treat every patient with the quality of care that we would expect for ourselves or our families. We understand that it is sometimes difficult and even embarrassing to come see an OBGYN. This is why we strive to provide compassionate care with the utmost respect for our patients. I always feel I'm recieving the best care ,I never feel rushed through the appointment, and always feel I am being taken seriously.